The biography of a network told through short films as it happens. 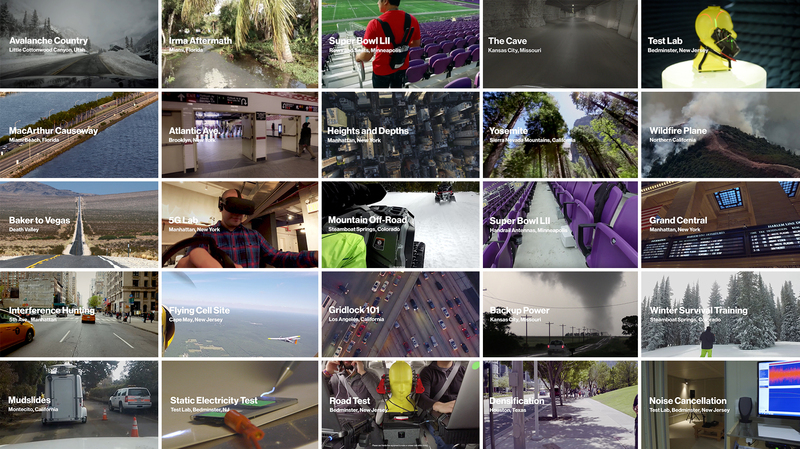 50+ stories that were seen over 150 million times online and on national TV. Building the "best wireless network" means more than being best than others. Authenticity meant avoiding advertising tricks and using honest storytelling, so we developed a newsroom, with dedicated documentarians, journalists and producers - a separate office inside the agency where this group sits together and runs everything from interviews, scripts, shots, edits, sound and traffic. All working to showcase the stories behind the network as they happen. To connect intention and audience, we devised a Local-Up approach, using real locations, real Verizon engineers, and real reasons. Because the more real it becomes, the less it can be challenged by silly competitive claims.